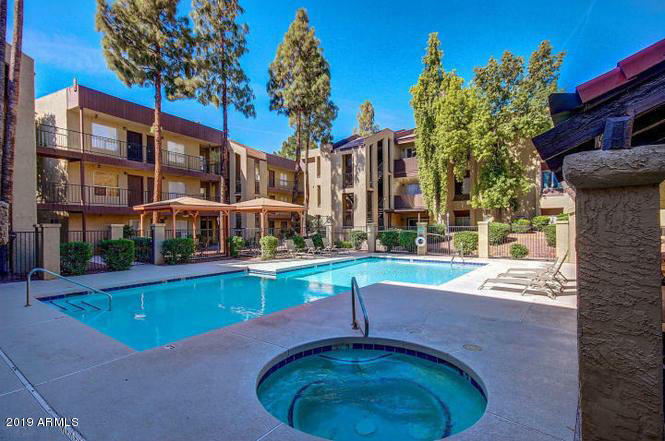 All CIRCLE TREE CONDOMINIUMS homes currently listed for sale in Mesa as of 04/23/2019 are shown below. You can change the search criteria at any time by pressing the 'Change Search' button below. "RESORT STYLE LIVING! Newer remodeled condo! Recently painted. Newer stainless appliances and granite counter tops in kitchen. Shows great! First floor and by thepool !!. Great for investors, winter visitors, snowbirds or first time home buyers. Gated community with 2 Tennis Courts, Racket Ball and Basketball Courts, 4 Large Pools including one Heated year round. Located close to the 60 freeway. Easy commute to ASU."